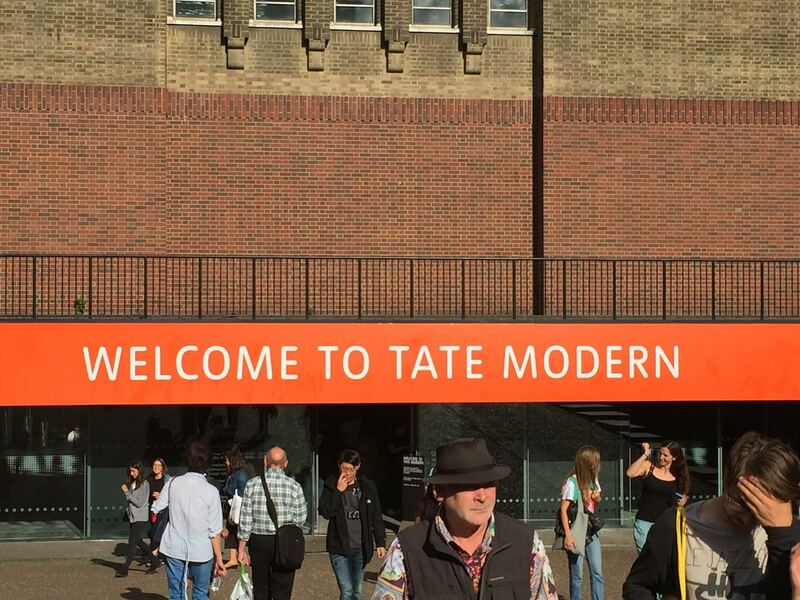 Last weekend we went on a family outing to the Tate Modern to see the Giacometti exhibition. 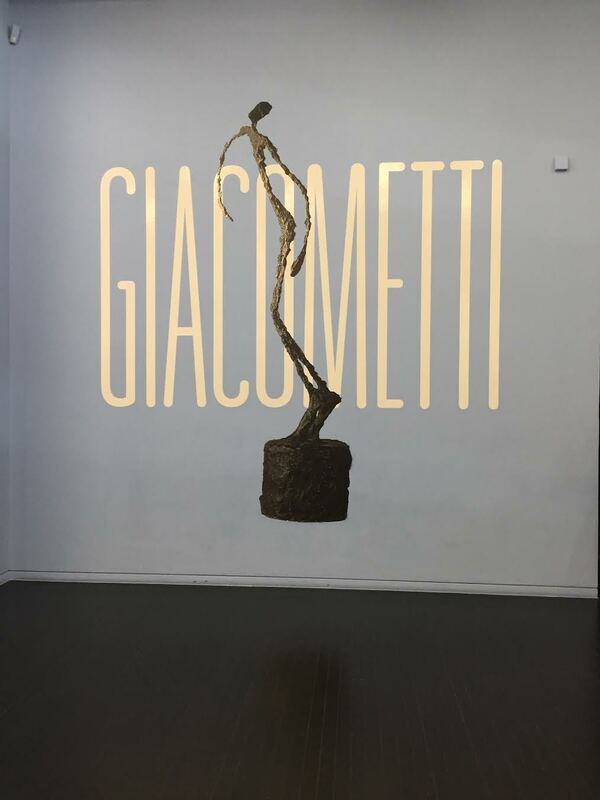 How I love family outings and how I love Giacometti’s work. He is most definitely one of the great painter-sculptors of the twentieth century. The exhibition was fantastic. It lived up to its reputation. The human heads in different materials and styles of his family and friends were superb. I particularly liked the clay and plaster ones. I could literally visualise him forming the shapes with his own hands. The elongated nudes with their pronounced base-like feet, over a metre in height, were truly majestic. Sadly, photography wasn’t allowed in the exhibition itself. If you can manage to get there yourself please do so. You will not regret it. This retrospective should not be missed. When we bought the family membership in 2016, we promised each other to visit more shows and exhibitions. I’m happy to report that all four of us have made great use of the membership. We have all discovered that once you have the membership and the ability to come and go as many times as you please, this is what you do. The membership has most definitely worked for us and we shall be renewing it when the time comes. It has almost become a competition between the four of us as to who can go and see which exhibition the most amount of times. So far this year it has been the David Hockney exhibition at Tate Britain that saw each of us return at least three times. This will be my last post for a few weeks, as we are setting off on our trip to Australia (with a two-night stopover in Kuala Lumpur) at the end of this week. I am beyond excited! For the first couple of weeks we will be travelling on our own around the Top End (Kakadu, Arnhemland, Katherine) and then we are going to Uluru where we will be meeting up with my sister-in-law who lives in Sydney. After Uluru, we shall go back to Sydney with her. Sydney is one of my all time favourite cities. I shall be putting photos of my travels on both Instagram and Twitter. So you can follow our trip! Michael and I both love this country. It’s the third year in a row that we shall be going ‘Down Under’. I have finally completed the outline for my next book. It has taken me a lot longer than There Is Always More To Say, but I think this is a good thing! I’m a little more experienced and I understand my process a lot better. Being in Australia will give me a great opportunity to complete the first draft of my new book. I shall be staying on for a couple of weeks longer than Michael to do exactly this. Rest assured that I’ll update you on the development of my second novel. It’s interesting to see different problems arising. Because yes they do arise! But it’s also interesting to see how I’m now facing the old challenges. I’m getting to know and understand my characters more and I’m finding interesting paths to take them down. There is a very clear story that I want to tell and I feel that the work I’ve done preparing to date has been time well spent! Well, that’s enough from me for now. Have a wonderful summer, I look forward to hearing how it was!